Mentorship in medicine is associated with increased career satisfaction and personal development. Despite these benefits, little is known about mentorship in anesthesiology training programs. Our objectives were to determine (1) the prevalence of formal mentorship programs among anesthesiology training programs in Canada, (2) the prevalence of informal and formal mentorship among anesthesiology residents in Canada, and (3) the predictors of having an identified mentor among anesthesiology residents in Canada. We conducted a cross-sectional web-based survey of residents and program directors from Canadian anesthesiology residency programs. Program directors were questioned about formal mentorship programs, and residents were asked to provide demographic data and information about their mentorship relationships. We analyzed the relationship between resident characteristics and mentorship. Our survey response rates were 76% and 39% for the Program Director Survey and the Resident Survey, respectively. Formal mentorship programs were present in 54% of residency training programs, and 94% of residents agreed that mentorship was important. Seventy-four percent of residents identified at least one mentor, although 42% of these residents did not interact regularly with their mentor. Mentors and mentees were more likely to be of the same gender. If a formal mentorship program was present, residents were more likely to identify a mentor (82 vs 17%) and interact regularly with their mentor (70 vs 46%). Formal mentorship programs were present in half of anesthesiology training programs. Although 74% of the residents identified a mentor, 42% did not interact regularly with their mentor. The presence of a formal mentorship program was positively associated with mentorship. Paul Zakus, Adrian W. Gelb, and Alana M. Flexman helped with the study design. Paul Zakus and Alana M. Flexman helped conduct the study and collect and analyze the data. Paul Zakus wrote the first draft of the manuscript. All authors participated in the case review and preparation of the manuscript. The online version of this article (doi: 10.1007/s12630-015-0418-8) contains supplementary material, which is available to authorized users. En médecine, le mentorat est associé à une plus grande satisfaction en matière de carrière et de développement personnel. Malgré ces avantages, nous ne savons que peu de choses concernant le mentorat dans les programmes de formation en anesthésiologie. Nos objectifs étaient de déterminer (1) la prévalence des programmes formels de mentorat dans les programmes de formation en anesthésiologie au Canada, (2) la prévalence du mentorat formel et informel parmi les résidents en anesthésiologie au Canada, et (3) les éléments prédisant l’existence d’un mentor identifié auprès des résidents en anesthésiologie au Canada. Nous avons réalisé un sondage ponctuel en ligne auprès des résidents et des directeurs des programmes de résidence en anesthésiologie au Canada. Les directeurs de programme ont répondu à des questions portant sur les programmes formels de mentorat, et on a demandé aux résidents des précisions démographiques ainsi que des renseignements concernant leurs relations de mentorat. Nous avons analysé la relation entre les caractéristiques des résidents et le mentorat. Nos taux de réponse étaient de 76 % et 39 % pour le sondage auprès des directeurs de programme et le sondage auprès des résidents, respectivement. Il existe des programmes formels de mentorat dans 54 % des programmes de formation de résidence, et 94 % des résidents estiment que le mentorat est important. Soixante-quatorze pour cent des résidents ont identifié au moins un mentor, bien que 42 % de ces résidents n’interagissent pas régulièrement avec lui ou elle. Les mentors et les mentorés étaient le plus fréquemment du même sexe. Si un programme formel de mentorat est en place, il est plus probable que les résidents identifient un mentor (82 vs 17 %) et interagissent régulièrement avec lui/elle (70 vs 46 %). Il existe des programmes formels de mentorat dans la moitié des programmes de formation. Bien que 74 % des résidents aient identifié un mentor, 42 % n’interagissent pas régulièrement avec leur mentor. L’existence d’un programme formel de mentorat est associée de façon positive au mentorat. Mentorship is considered to be an integral component of residency training to facilitate achievement of personal and professional goals.1 Although the definition may vary, mentorship is often considered to be a relationship in which a person with useful experience, knowledge, skills, or wisdom offers advice, information, guidance, support, or opportunity to another for that individual’s professional development.2 Mentorship relationships may be established informally or through formal programs facilitating matching of mentees and mentors. Ideally, the mentor and mentee should share common interests and goals and be compatible in personality regardless of the process. Our primary study objectives were to determine (1) the prevalence of formal mentorship programs among anesthesiology training programs in Canada, (2) the prevalence of informal and formal mentorships among anesthesiology residents in Canada, and (3) the predictors of having an identified mentor among anesthesiology residents in Canada. Our secondary objectives were to examine the characteristics of the formal mentorship programs and the mentorship relationships. After approval from the University of British Columbia Behavioural Research Ethics Board (H12-00344 [September 2012]), two separate cross-sectional web-based surveys were developed for Canadian anesthesiology program directors and residents using FluidSurveys™, an online survey service (http://fluidsurveys.com). The requirement for written informed consent was waived by the University of British Columbia Research Ethics Board. All program directors of anesthesiology residency programs that had active accreditation by the Royal College of Physicians and Surgeons of Canada (RCPSC) from November 13, 2012 to April 1, 2013 were eligible to participate in the Program Director Survey. Seventeen eligible program directors and their contact information were identified from the RCPSC website (http://www.royalcollege.ca/portal/page/portal/rc/credentials/accreditation/arps). All residents enrolled in an RCPSC accredited training program in anesthesiology were eligible to receive the survey. The survey was distributed through the respective program assistant following approval from the program director. The number of residents in each program was determined by the response of the program director and, if required, from the Canadian Post-M.D. Education Registry (www.caper.ca). Residents were not contacted directly; instead, the invitation to the online survey and a consent form were distributed through each respective program assistant. Although both French and English-speaking programs were included, surveys were provided in English only due to resource limitations. The Program Director Survey was developed following a review of the literature and pilot testing using faculty anesthesiologists in the Department of Anesthesiology, Pharmacology and Therapeutics at the University of British Columbia. After respondents completed the pilot survey, feedback was collected to understand their experience, and the questions were subsequently modified based on these findings. In the final version of the survey, program directors were questioned about the presence of a formal mentorship program for anesthesiology residents and, if present, the characteristics of the program (Appendix 1; available as Electronic Supplementary Material). If no mentorship program was present, the program directors were asked about their interest in implementing a program. Program directors were invited to complete a voluntary anonymous web-based survey by e-mail. Two reminder e-mails were sent at four-week intervals. Similarly, the Resident Survey was developed following a review of the literature and pilot testing using graduating residents and fellows in the Department of Anesthesiology, Pharmacology and Therapeutics at the University of British Columbia - all of whom did not participate in the final survey. The respondents were asked to examine the survey with regard to its flow and relevance as well as the presence of any unusual, poorly worded, or redundant questions. The questions were subsequently improved based on these findings. The initial invitation to the online survey and a consent form were distributed in January 2013. Three reminder e-mails were sent at monthly intervals. To increase the survey response rate, an incentive was offered in the form of a random draw for a prize (Apple® iPad 2). The Resident Survey (Appendix 2; available as Electronic Supplementary Material) consisted of seven demographic questions, six questions about their mentor, and six questions characterizing their mentorship relationship. The demographic questions included potential predictors of mentorship based on previous literature that identified barriers to mentorship (e.g., gender, minority status)10,13 and those that we hypothesized might influence the likelihood of mentorship (e.g., age, education and residency training level, presence of a mentorship program). The questions regarding the mentors included gender, seniority, location, and medical specialty. The questions characterizing the mentorship relationship included frequency of meetings, method of communication, and topics discussed. Two five-point Likert questions were utilized to determine the importance of mentorship to the residents and, if present, their satisfaction with mentorship relationships. Anonymous survey data were stored on the host server (http://fluidsurveys.com) and downloaded for analysis following completion of the survey. Descriptive statistics (mean, median, percentage) were used to summarize the data from both surveys. Given the limited survey response rate and sample size, we did not perform statistical hypothesis testing of potential predictors of mentorship. All statistical analysis was completed using STATA 12.1 (StataCorp, College Station, TX, USA). Thirteen of 17 anesthesiology residency program directors responded to the survey (76% response rate). Fifty-four percent of programs (7/13) had a formal mentorship program. Mentorship programs had existed for a median of 3.5 years. Mentors consisted of anesthesiology faculty members and residents in 100% and 43% of formal mentorship programs, respectively. Feedback on the quality of mentorship was obtained in 29% of programs, and residents had the option to switch mentors in all programs except one. Of the programs without a formal mentorship program (6/13), 50% were interested in implementing a mentorship program. Program directors and administrators were e-mailed from January 1-18, 2013 to request approval to distribute the web-based survey to their residents, and approval to distribute the survey was obtained from 14 of the 17 Canadian anesthesiology residency programs (three programs did not respond to the request). The survey was then distributed to all residents in these programs (n = 519). After obtaining an initial 116 responses, we provided e-mail reminders at one month and two months later, resulting in 66 and 36 additional responses, respectively. Fifteen of the 218 total responses were excluded; seven were excluded because the participant did not consent and did not fill out the survey, and eight were excluded because the survey was missing all data. The overall survey response rate was 39% (203/519). The distribution of survey responses by residency program is shown in the Figure. Of the residents who responded to the survey, 94% of residents either agreed or strongly agreed that mentorship was important. Seventy-four percent of residents were able to identify at least one mentor (six residents did not respond to the question about whether they could identify a mentor and were excluded from further analysis), although 42% did not interact regularly with their mentor. Mentors were formally assigned for 49% (n = 71) of the residents. The characteristics of resident mentees are shown in Table 1. The most common plan after residency completion was a fellowship (70%). Post-residency plans were similar between those with and those without an identified mentor. We asked residents to describe their mentors. Mentors were more likely to be male (73%), mid-level or senior faculty (71%), anesthesiologists (94%), and working at the same training institution (90%). Four percent of mentees identified their program director as their mentor. Notably, mentors and mentees were more likely to be of the same gender. If the resident was male, 93% identified a male mentor; however, if the resident was female, only 45% identified a male mentor. We examined the characteristics of the mentorship relationships among anesthesiology residents and their mentors. Nearly half (49%, n = 71) of residents who identified a mentor were assigned a mentor through a formal mentorship program, and 86% of mentees were either satisfied or very satisfied with their mentorship relationship. Resident ratings of satisfaction with their mentor were similar between assigned and unassigned mentors. Of the residents who responded to the survey, a significant portion of residents (65%) identified two or more mentors. The two most common methods of communication were face-to-face (92%) and e-mail (70%) (Table 2). Career planning, clinical expertise, and work-life balance were the most common topics discussed (80%, 79%, and 70%, respectively) (Table 2). Resident satisfaction with mentorship was similar whether or not a formal mentorship program was present. We examined the factors associated with having an identified mentor. Rates of mentorship were similar among the different subgroups, including gender, minority status, age, year or residency, and level of education prior to residency (Table 3). If a formal mentorship program was present, residents were more likely to identify a mentor (82 vs 17%). In addition, residents were more likely to interact regularly with their mentor (70 vs 46%) if a formal mentorship program was present. Six comments were provided at the end of the survey. Several expressed dissatisfaction with the mentorship program at their institution. In addition, three residents commented on the idea that the most effective mentors were those that were unassigned or informally acquired. Our study results suggest that most anesthesia resident trainees in Canada can identify a mentor, although at least six of 17 Canadian residency programs did not have formal mentorship programs. Perhaps not surprisingly, the main factor found to be associated with having a mentor was the presence of a formal mentorship program. 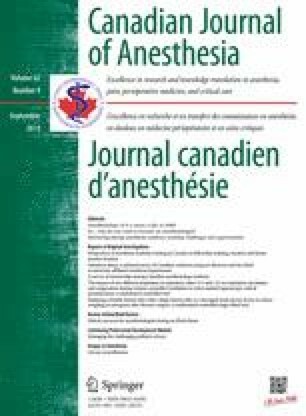 There is a lack of previous studies addressing the subject of mentorship among anesthesia residents in Canada, or elsewhere. Consistent with the existing literature on mentorship in other specialties, we found that residents and program directors value mentorship.7 , 14 – 16 In spite of this perceived importance, the prevalence of mentorship varied greatly among anesthesiology training programs in Canada. Although the majority of Canadian anesthesia residents in this sample identified at least one mentor, nearly half did not meet regularly with their mentor. Quality of mentorship is an important component of a successful relationship. The needs of the mentee can be difficult to define due to the variability between individuals and over time. In our survey, 86% of residents were either satisfied or very satisfied with their mentorship relationship. The mentorship literature suggests increased satisfaction with informal mentor selection compared with formal mentor assignment.25 Nevertheless, in our study, no correlation was found between the presence of a formal mentorship program and satisfaction with mentorship. Similarly, feedback on mentorship is valuable, although our study revealed that feedback on the quality of mentorship was obtained in only 29% of mentorship programs. Ongoing assessment of mentorship programs in conjunction with flexibility is important to facilitate improvements in existing programs. Our study results describe the prevalence of mentorship and mentorship programs in anesthesiology training programs in Canada, although the prevalence of mentorship varied amongst training programs. We also confirmed the perceived importance of mentorship and identified areas for improvement. Although the majority of Canadian anesthesia residents identified a mentor, nearly half did not interact regularly with their mentor. In our study, the presence of a formal mentorship program was positively associated with mentorship, although unlike previous studies, gender and minority status were not predictive. Implementation and development of mentorship programs is a potential strategy to improve mentorship amongst anesthesiology residents. Dr. Alana Flexman is supported by a Vancouver Acute Department of Anesthesia Research Merit Award.